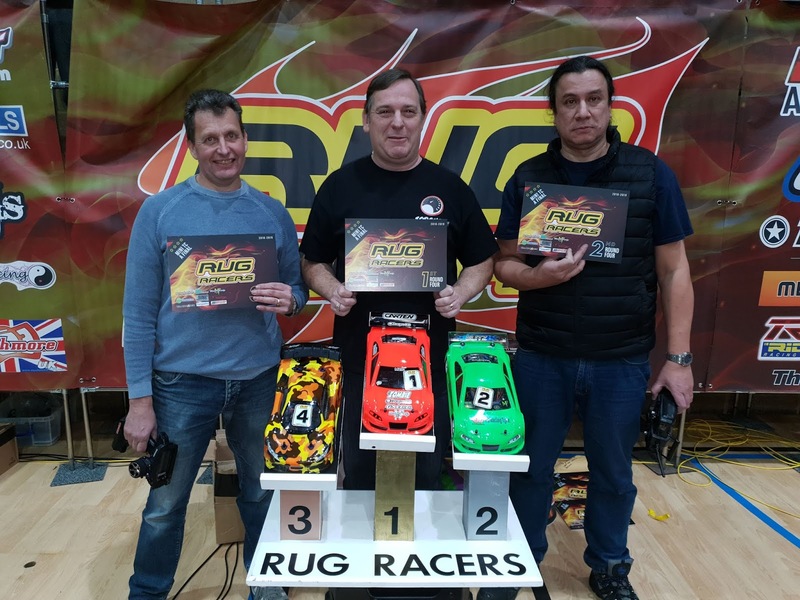 Round 4 & the 1st round of 2019 after the Christmas break many drivers returned fully recharged and with new toys to play with as well. MT-C lead the way, the popular and growing class produces some very good on track racing to enjoy with Carten UK Team Manager Mark Young fairing well enough to line his car up on Pole Position ahead of Remo Casadei & Clint Moody in 3rd, Finals would again produce some fun action with Mark taking the win and putting 1 hand on the inaugural MT-C Championship ahead of team mate Remo & Ian Smith making the podium from 4th. Tamiya Trucks has been around a while now but still produces some great smiles on the rostrum, Adam Southgate again showing his ever-improving talent to take all 4 rounds of FTQ & line up 1st ahead of Chris Seamen & Ethan Southall (U13) in 3rd place. The finals Adam lead from the tone with all the action happening behind for 2nd place, overall Adam took the win with Chris 2nd and Kevin Fenn up from 4th to take 3rd. 3rd, Kevin Fenn. 1st, Adam Southgate. 2nd, Chris Seamen. GT12 and Owen Smith was again the man to try and beat, after a rough couple of qualifiers he put his car on pole with a strong challenge from his sister Darcie Smith (U13) pilling the pressure on Mr Smooth himself Nick Upton lining up 3rd, The finals produced some great racing with Owen taking both but not before a seriously strong challenge from Darcie in Leg 2. 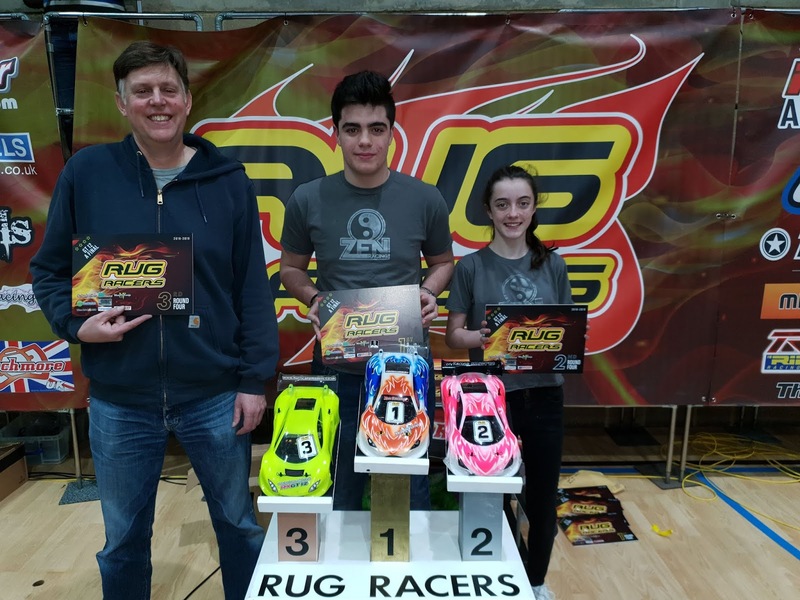 With that result & FTQ Owen Smith becomes the 1st champion of the series with a perfect score – Congratulations Owen! 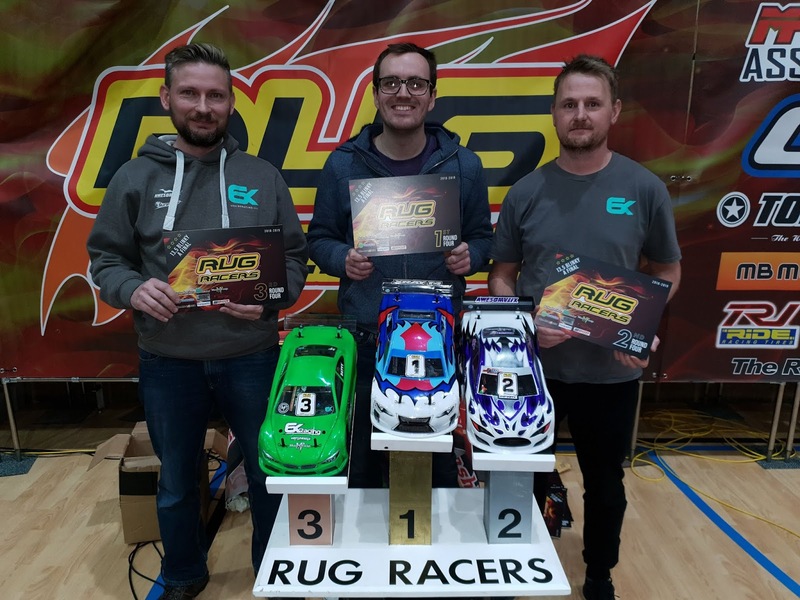 17.5 Blinky TC, Adam Southgate was building on another great days racing after early issues but would line up 2nd behind Matt Worton who was looking faultless as the day progressed, Vasiliy Simonov lining up 3rd. 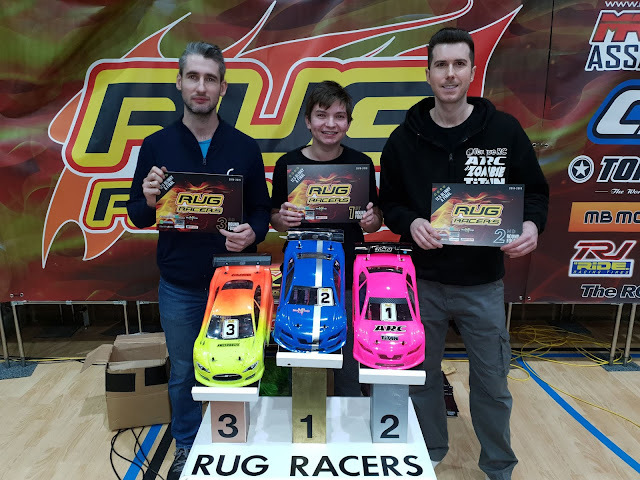 The finals were the front 2 racing hard for the win with 1 leg win a piece and both having back marker issues in each led Adam took the win on FTF. 3rd, Vasiliy Simonov. 1st, Adam Southgate. 2nd, Matt Worton. 13.5 Blinky TC, Tony Broad was the fastest out the blocks to take FTQ ahead of Ashley Wiffen & Shaun Batt, Leg 1 would see the win for Shaun with Tony charging back through the field & no way past Ashley, Leg 2 would go to Tony but not before coming under huge pressure from Ashley but with no mistakes held on to take the overall win to finish in Qualy order. 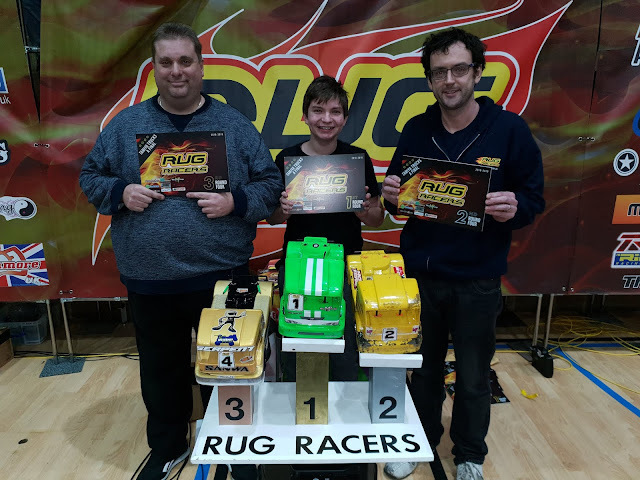 Special thanks to the series sponsors & also to all the drivers that attend and make it possible.